The prospect of a full-fledged Talking Heads reunion has been slim to none for fans of the American rockers ever since the band permanently disbanded in 1991. 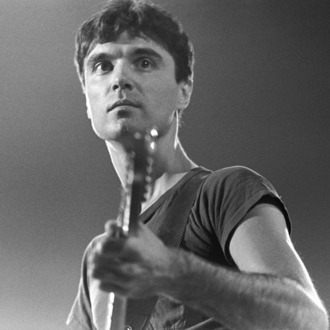 Despite a short performance for lucky attendees at the quartet’s Rock and Roll Hall of Fame induction ceremony in 2002, as well as members Jerry Harrison, Chris Frantz, and Tina Weymouth voicing their keen interest in a reunion, front man David Byrne has refused and consistently voiced his general disdain. However, in a new interview with The Creative Independent, Byrne’s stance has softened somewhat on the subject, and he chose to weigh the pros and cons of a potential reunion without the interviewer even bringing up the topic. “For those contemplating doing a little bit of what I do, that kind of variety of things, I would say you need to be ever-vigilant. For example, a Talking Heads reunion might be incredibly successful for a specific generation, or maybe for many generations,” he explained. “It would make me a lot of money and get a lot of attention. It would also probably be quite a number of steps backwards as far as being perceived as someone who does a lot of different things.” Despite that relative ambiguity, Byrne ultimately still doesn’t put on an optimistic front. “I feel like I have to sacrifice something, whether it’s money or name recognition or whatever in order to be able to do a little bit more of what I’d want to do,” he said. “In other words, you can’t have it all.” So a road to nowhere for now, unfortunately.